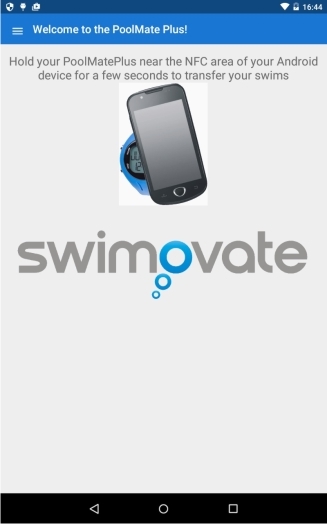 Swim data can be uploaded from your watch via an iPhone to your account on our swim logging platform mypoolmate.com. The swim data is synced to your phone using NFC(near field communication) technology by simply touching your watch to the NFC antenna on your iPhone when the app is open. Android 4.4 or above with NFC. NFC enabled in phone settings. Sign up for an account at mypoolmate.com, you will be sent an email to activate your account. Install the PoolMate app from Googleplay on your Android device. Make sure NFC is turned on in your settings. Enter your mypoolmate.com account details in the settings page in the app and read and agree to the Terms and Conditions, click SAVE. Place your watch to the top rear centre area of your device and you will get confirmation on the phone when syncing has occurred (it usually beeps). You will see progress of your upload displayed on the screen, if uploading several swims this can take a while to finish. The NFC antenna in your phone is usually located in the top centre back of the device, hold the watch to this area for a couple of seconds. If it does sync first time then move the watch around into slightly different positions around this area until it does. You should soon get familiar with the location of the antenna so it will be easy to position next time. If you do not have internet connection the upload will not complete, try again when you have internet access. 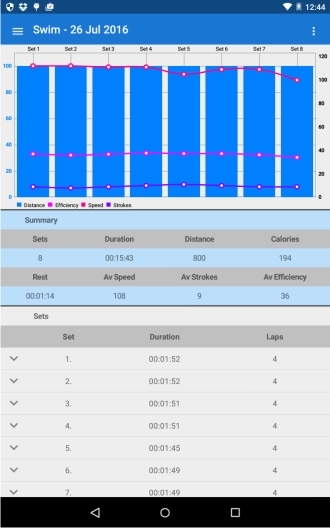 Syncing via the app will upload swim summary data and data from each swim set you record. 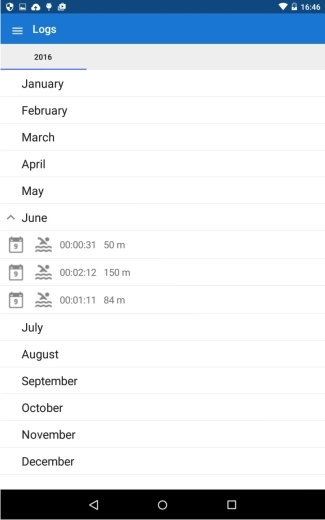 If you require the extra data for each lap you swim you can only get this from the PoolMateSport model and you will need to upload the swims via the clip supplied with the watch to a computer rather than via the app.